If you find yourself holidaying in Bodrum or around the Muğla region in the next few weeks, we can’t recommend the Gümüşlük Classical Music Festival more strongly. Taking place in the small fishing village of Gümüşlük, the month-long festival is co-curated by Turkey’s leading pianist Gülsin Onay, who, unsurprisingly, delivers a programme rich in piano recitals. Seven superb concerts have already taken place but there’s still five nights of music left. The veteran English pianist Martin Roscoe takes the stage on Sunday evening (July 26), followed by a night of Mediterranean sounds performed by the French-Algerian violinist Gilles Apap and the young Serbian pianist Misha Dacić on Wednesday (July 29). Then, on Friday July 31, another Serbian pianist, Anika Vavic, who studied under the great Noel Flores at the University of Music and Performing Arts in Vienna, will perform both classic and modern reinterpretations. The following week, Onay herself takes the stage in a concert enigmatically titled ‘A Serenade to the Stars’ (August 4). The festival concludes with the imaginative AyşeDeniz Gökçin, who plays a selection of Nirvana and Pink Floyd songs, reinterpreted and remixed, on August 8 (read Tony Barrell’s piece on the piano virtuoso in Cornucopia 50). 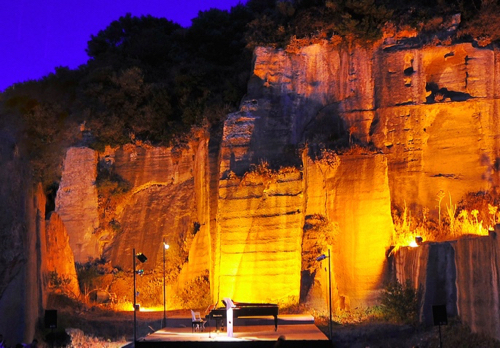 All concerts start at 9pm and take place at the beautiful Antique Stone Quarry (above), the same quarry from which King Mausolos collected the stones for his palace and mausoleum. Tickets are a bargain at TL35 a pop. 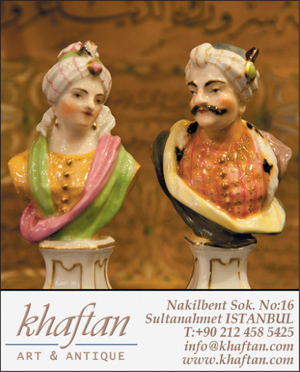 They’re on sale through Biletix or from the festival office at Turgutreis Caddesi No. 30/1, Gümüşlük, Bodrum. The office is open from 10am to 8pm, but if you’re buying tickets for a concert that evening, make sure to get them before 5pm. But that’s not all. From August 1, Gümüşlük will also host Turley’s first open air chamber music festival. The Eklisia Chamber Music Festival will take place at the Eklisia Church, which dates back to Byzantine times, until August 13. The programme includes the dancer Kadir Sonuk who, accompanied by the wind ensemble Camerata Smyrna, will perform the Egyptian dance Tanoura with Sufi influences (August 1); the Dimitrios Dounis quintet from Athens, named after the influential 20th-century violinist, perform with the Italian soloists Raffaele La Ragione and Camilla Finardi on August 3; the renowned Borusan Quartet performs on August 5; four cellists known as Çellistanbul will take the stage on August 7; Fuego Trio will wow audiences with the Argentine tango composer Ástor Piazzolla’s compositions on August 9; the Olten Quartet will perform on August 11; and concluding the programme on August 13 will be Camerata İzmir, under the baton of Nazi Özgüç, with the prolific drama actor Genco Erkal as the soloist, who will perform Stravinsky’s ‘The Soldier’s Tale’. All concerts start at 9.30pm. Visit Biletix's website to purchase tickets. Main image shows this year’s opening night concert of the Gümüşlük Classical Music Festival with Gülsin Onay on the piano (photo: İbrahim Hakkı Zırh).